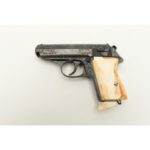 Upcoming on iCollector.com is a fun auction put together by Schmalz Auctions operating out of Prince Albert, Saskatchewan. 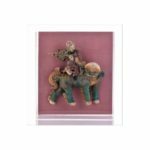 On Saturday September 23rd, they will have for online bidding for over 500 lots of various antiques and interesting collectibles. All items are opening at $10 and will sell to the highest bidder with absolutely no reserve. Vintage household items are up for grabs throughout the auction. 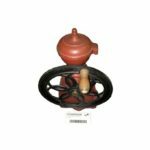 Lot 1 kicks off the sale with a Wall mounted cistern pump from J A Smart. 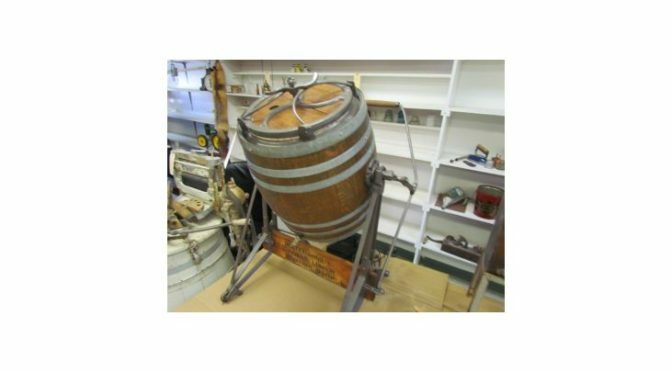 Another great featured piece is a Beatty oak Tumble Churn available for bidding at Lot 264. Both items have photos and are opening for 5 dollars and selling to th highest bidder. The catalog has some great General Store scales for collectors. 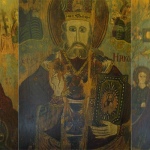 Bidders should check out Lot 250 which is a Stimpson Patt scale from 1903. The next lot is a Fairbanks Scale at Lot 251. There is a 1906 Stimpson Patt at Lot 252, a second Fairbanks scale at Lot 253. Next up at 254 is a scale from the Computing Scale Company and then the selection is wrapped up with a trio of Toledo scales at Lots 256, 257, and 258. All have a great selection of photos for online inspection. This auction opens for live bidding at 10AM Central Time on Saturday September 23rd, 2017, coming live from the auctioneer. 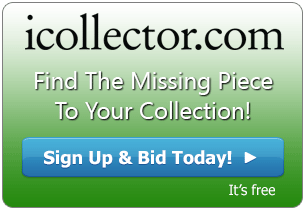 Bidders do not have to wait for auction day, bids can be placed on iCollector.com anytime right up until the live auction. Photos and descriptions are available online for inspection so bidders can find their treasures and get what they want from this auction.